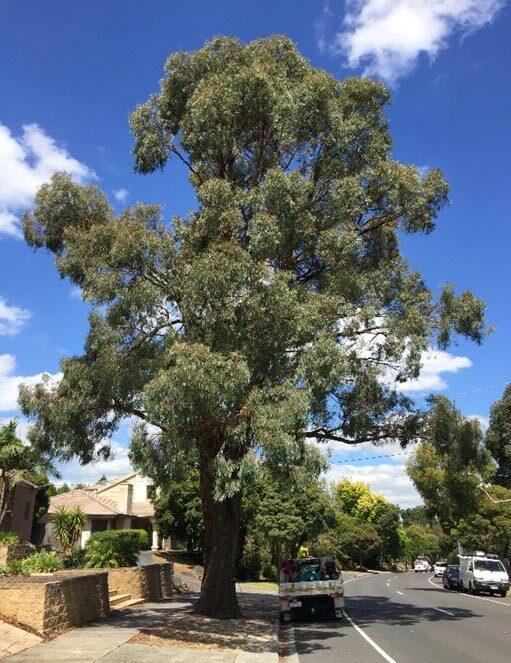 A while ago, we began working with the Maroondah council on an ongoing basis to provide tree recovery treatments. Trees in this area had been affected by poisoning, which was hindering their healthy growth and vitality. Needless to add, tree poisoning can also have an impact on value of property and real estate in a given locality, since trees have ornamental value within a streetscape. While uprooting the tree may seem like the only option when poisoning has occurred, this isn’t an effective approach since removal costs are substantial and the process itself can be arduous. 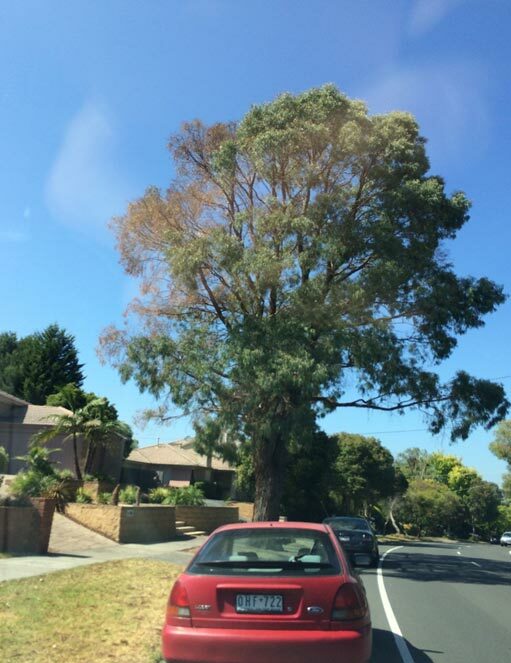 Maroondah Council engaged Elmsavers for a more effective solution to tree poisoning on an ongoing basis. Once the Council was able to confirm that the narrow-leafed Peppermint E. Nicholii trees in this area were poisoned, Elmsavers commenced their long term treatment that would help improve their health. Elmsavers used a set of micro-injections to rectify the problem at hand. As the pictures indicate, one section of the tree was beyond recovery and had to be removed, but the rest of the tree was successfully treated and is now thriving. Contact Elmsavers today to save your beloved trees.